The economy of California is stunningly large, being comparable to that of large countries in the world. The GDP of the state of California is smaller than only 7 of the world's countries, and regarding purchasing power parity of an individual, it is only smaller than 10 of the countries across the world. 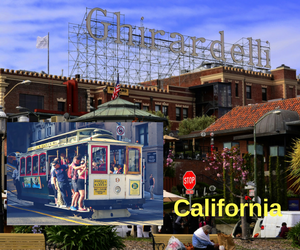 California is home to the Silicon Valley, a global hub of high technological innovation and entrepreneurship. California is widely considered to be the epicenter of the world's technology, aerospace, engineering, entertainment and music industries. When it comes to computer science, every year, around 3200 students are estimated to graduate with computer science degrees in California. The state has over 110 different colleges and schools that offer computer science programs. The tuition fee for a degree in computer science in a university in California is estimated to have an average fee of about $9,000 per year, but for the reputed and top-ranked institutions, this fee may even go up to as high as $50,000 per year. University of California, Berkeley: Students graduating in computer science from this university can expect an average starting salary of $82,000 and a mid-career average salary of $141,000. Stanford University: a well-established and widely reputed university, graduates in computer science from Stanford can expect and average starting salary of $90,000 and an average mid-career salary of $120,000. University of California, Irvine: The average starting salary for graduates from this university is $64,200 while the mid-career average salary is $120,000. University of California, San Diego: An average starting salary of $70,000 and an average mid-career salary of $115,000 is what computer science graduates from this university can expect. San Jose State University: A computer science graduate from this university can expect an average starting salary of $65,500 and a mid-career average pay of $115,000. California Polytechnic State University: Graduates in computer science can expect an average starting salary of $67,000 and a mid-career average salary of $125,000. Popular Skills: java, c++, data analytics, ruby, big data, python, cloud computing, mobile programming (ios, Android), artificial intelligence etc. Rankings by R&D expenditure and PhDs.